KUALA LUMPUR (March 19): Malaysia's target of achieving high income status by 2020 with GDP per capita rising to about US$15,000 is within reach, said the International Monetary Fund’s first deputy managing director David Lipton. During his keynote address at a dinner organised by Bank Negara Malaysia in conjunction with the 19th ASEAN Finance Minister's Meeting, Lipton stressed on the importance of convergence. "By convergence, I mean the decades-long process by which ASEAN countries will raise their living standards to join the ranks of advanced economies. 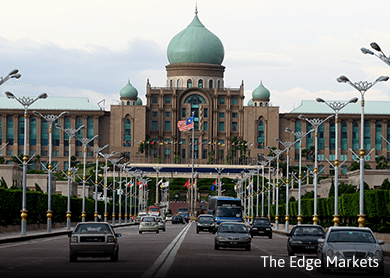 "With a sustained effort to pursue further reforms, Malaysia's income level in 2040 could surpass that goal, and essentially converge to the United Kingdom," he said. He added convergence is also about raising worker productivity and closing gaps in technology, infrastructure, education and financing. Lipton listed macroeconomic and financial policies, the upgrade of labour skills and labour force participation, and closing infrastructure gaps as well as encouraging home grown innovation, among the keys to convergence. "Free trade and economic integration also play an important role in convergence; regional trade agreements such as the Trans-Pacific Partnership and the regional comprehensive economic partnership should also help reduce non-tariff barriers and promote trade," said Lipton. He said gains from such agreements could range to over 6% for Malaysia.